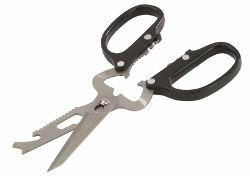 12 in 1 scissor is part of Outwell's cooking and tableware accessories. It is 19 cm long and made of stainless steel. 12 in 1 scissor has 12 different functions - it can be used as a scissor, knife, bottle opener, wrench, wire stripper, jar wrench, nutcracker, screwdriver, magnet , can opener, fish scaler and wire cutter. With Outwell 12 in 1 Scissors you have a multifunctional tool at hand which can be difficult to do without on holiday. 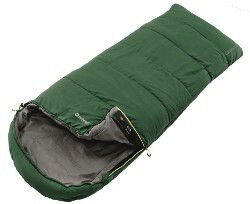 A double camping Air Bed of a superior quality. 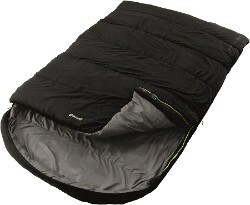 Rubberised Cotton Air Beds don't leak and loose pressure like many cheap Air Beds can. 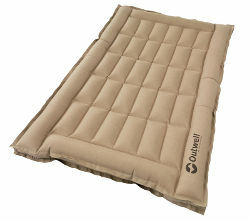 The rubberised cotton material is tougher than PVC and ensures better durability making the Outwell Airbed Box the obvious choice for campers looking to invest in quality. Need more space? 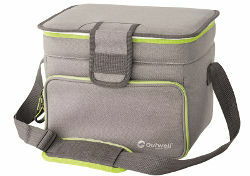 The Outwell Albatross L coolbag has all the benefits of the medium version, but is 7cm deeper, giving you plenty of room for alfresco feasts. Ideal for larger gatherings with family or friends, simply add ice, food and drink, and let the festivities begin. 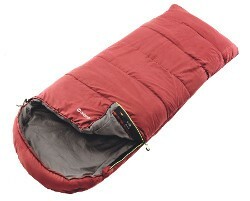 The Outwell Amarillo 4 is a high quality 4 man tent that actually fits 4 people. Double bedrooms at one end can be separated by zipped curtain for privacy or opened to create one room so you always have your family close. 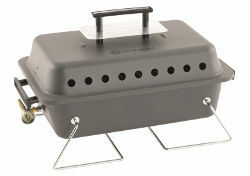 Heat up and eat up where ever you may roam, with this lightweight compact Appetizer Cooker Single Burner. With its robust travel case it is ideal for camping, taking to thebeach or just to have in the cupboard in case of emergencies. Asado Gas BBQ will transform campers' cooking experiences with clean, convenient barbecues and no need to wait for charcoal to be ready. 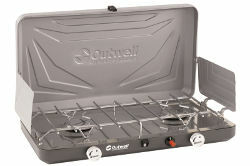 The Asado has a lid with handle, side handles and very stable, fold-out legs. It's easy to clean, the grill shelf is quickly removed. Bayfield 5A Carpet measures approx. 230 x 290cm and is shapped to fit the Bayfield 5A living area. 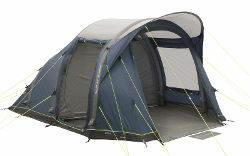 Perfect for couples and smaller families, the Outwell Bayfield 5A tent is a very compact Rigid Air System design, easily pitched, with small pack size, that sleeps five (3+2) in two Premier Bedrooms with a removable divider for flexible use. With its large Rain Safe fold flat front door and tinted windows, it is ideal for touring holidays. 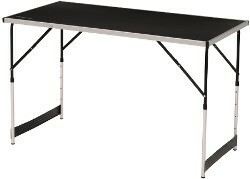 The Outwell Black Diamond camping Table is light and easy to carry and opens in seconds, ideal for the campsite or a picnic. This is a nice and handy cutlery solution for outdoor trips. In the box you get cutlery for 4 people and a box for storage.